The multi-award-winning Spanish clarinetist Jose Franch-Ballester (FrAHnk Bai-yess-TAIR) is considered one of the finest classical soloists and chamber music artists of his generation. He has been hailed for his “technical wizardry and tireless enthusiasm” (The New York Times), his “rich, resonant tone” (Birmingham News), and his “subtle and consummate artistry” (Santa Barbara Independent). The recipient of a prestigious Avery Fisher Career Grant in 2008, and winner of both the Young Concert Artists and Astral Artists auditions, he is a solo artist and chamber musician in great demand. As a concerto soloist Mr. Franch-Ballester made his New York debut in 2006 with the Orchestra of St. Luke’s at Lincoln Center. He has also performed with the BBC Concert Orchestra, Louisville Orchestra, Princeton Symphony Orchestra, Santa Barbara Chamber Orchestra, Wisconsin Philharmonic, Louisiana Philharmonic, Hilton Head Symphony Orchestra, Malaysian Philharmonic Orchestra, and various orchestras in his native Spain. Mr. Franch-Ballester made his New York recital debut at the 92nd Street Y, and has appeared in recital at the Isabella Stewart Gardner Museum in Boston, Iowa State University, the Buffalo Chamber Music Society, and the Mondavi Center for the Performing Arts. 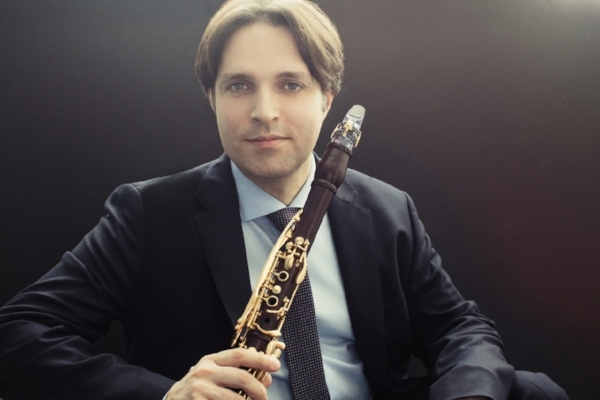 He performs regularly with the Chamber Music Society of Lincoln Center both in New York City and on tour, and also acts as principal clarinet of the Santa Barbara-based chamber music collective Camerata Pacifica. U.S. festival appearances include the Saratoga Chamber Music Festival, Music@Menlo, Mainly Mozart, Bridgehampton Chamber Music Festival, Music from Angel Fire, Chamber Music Northwest, and Skaneateles Festival. Abroad, Mr. Franch-Ballester has appeared at the Usedomer Musikfestival in Germany, the Verbier Festival in Switzerland, the Cartagena Festival Internacional de Música in Colombia, the Kon-Tiki Festival in Norway, and the Young Concert Artists Festival in Tokyo. WATCH: Jose Franch-Ballester performs "Solo de Concours" by André Messager. Mr. Franch-Ballester is artistic director of miXt, an ensemble of award-winning soloists from the Young Concert Artists roster that he founded in the 2012-13 season. Performing in a variety of configurations, miXt made its New York and Washington debuts in YCA’s series at Merkin Hall and the Kennedy Center. His instrumental collaborators have also included the American, St. Lawrence, Jupiter, and Modigliani string quartets. An avid proponent of new music, he performed the world premiere of Jake Heggie’s Winter Roses in 2004 with mezzo-soprano Frederica von Stade at Camerata Pacifica. During the 2011-2012 season, he premiered two new works by Spanish composers: the II Concerto by Oscar Navarro, with the Orquesta Sinfónica del Principado de Asturias in Oviedo, Spain; and Concerto Valencia by Andrés Valero-Castells, with the Orquesta de Valencia. Mr. Franch-Ballester’s commitment to new music has led him to commission and work with such contemporary composers as Kenji Bunch, Paul Schoenfield, Edgar Meyer, William Bolcom, George Tsontakis, Andrés Valero-Castells, Oscar Navarro, and Huang Ruo. He has also been a dedicated music educator, developing new audiences through countless educational concerts and workshops for young people and community audiences. Performing regularly in Spain, Mr. Franch-Ballester has appeared with the Orquesta de Radio y Television Española, Orquesta de Valencia, Orquesta Sinfónica del Principado de Asturias, and Orquesta Sinfónica del Valles. He is the founder of Jose Franch-Ballester & i amics (and friends), a series of concerts in which young musicians from all over the world are presented in Mr. Franch-Ballester’s hometown of Moncofa and throughout the Valencia area. Mr. Franch-Ballester’s recordings include a Deutsche Grammophon CD of Bartók’s Contrasts with members of the Chamber Music Society of Lincoln Center. In 2010 he was awarded the Midem Prize for “Outstanding Young Artist,” which aims to introduce currently unsigned recording stars of the future to the classical recording industry. “Jose Franch-Ballester & Friends,” a CD of chamber music released by iTinerant Classics in 2011, includes the premiere recording of Oscar Navarro’s Creation and works by Brahms, Stravinsky, and Paul Schoenfield. Mr. Franch-Ballester can also be heard on “Piazzolla Masterworks,” a CD recorded with cellist Young Song and pianist Pablo Zinger that contains works by Astor Piazzolla. Born in Moncofa into a family of clarinetists and Zarzuela singers, Jose Franch-Ballester began clarinet lessons at the age of nine with Venancio Rius, and graduated from the Joaquin Rodrigo Music Conservatory in Valencia. In 2005 he earned a bachelor’s degree from the Curtis Institute of Music in Philadelphia, where he studied with Donald Montanaro. Mr. Franch-Ballester’s mentors also include Ricardo Morales, principal clarinet in the Philadelphia Orchestra. Jose Franch-Ballester is represented in the Americas by Sciolino Artist Management. He is a Backun Artist.